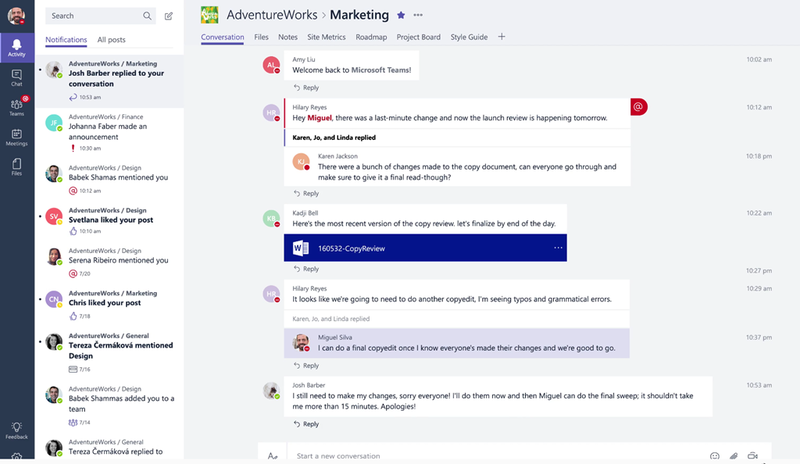 Yesterday the Office team at Microsoft launched a new chat-based tool “Microsoft Teams” for work colleagues that enables a digital workspace experience tightly integrating with Office 365 apps and services with the portfolio of collaboration applications and services being more richer and varied than ever before with the likes of Office 365 Groups, Yammer and SharePoint. I quite like it and it kind of flows and great to see it as best of breed collaboration app! 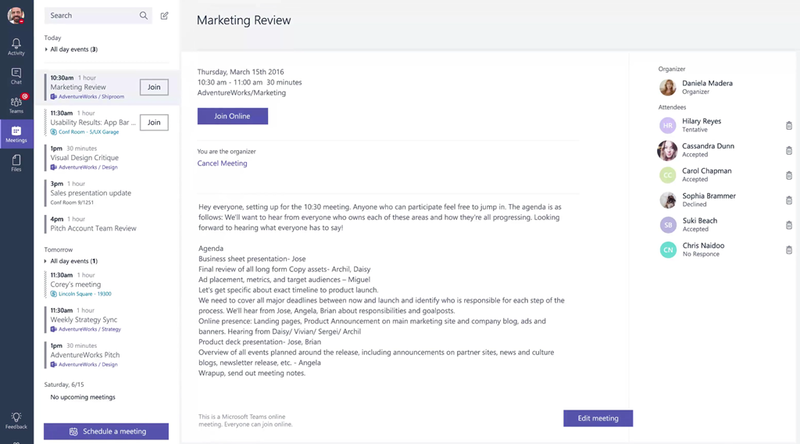 Microsoft Teams is built on Office 365 Groups for cross-application membership and backed by Microsoft Graph services to surface recent and relevant information. 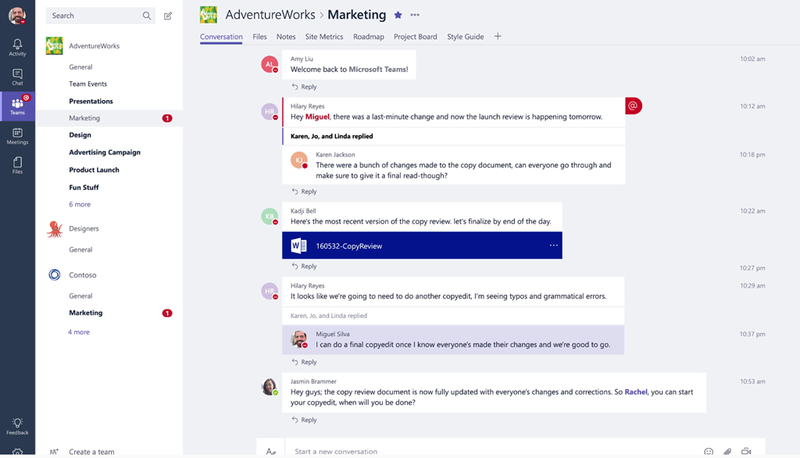 The focus here is that how teams get to work in real-time through chat (threaded feature-rich conversations), files (from OneDrive and SharePoint team site), notes (from OneNote) and planner (from Microsoft Planner) and calendar (from Exchange Calendar). 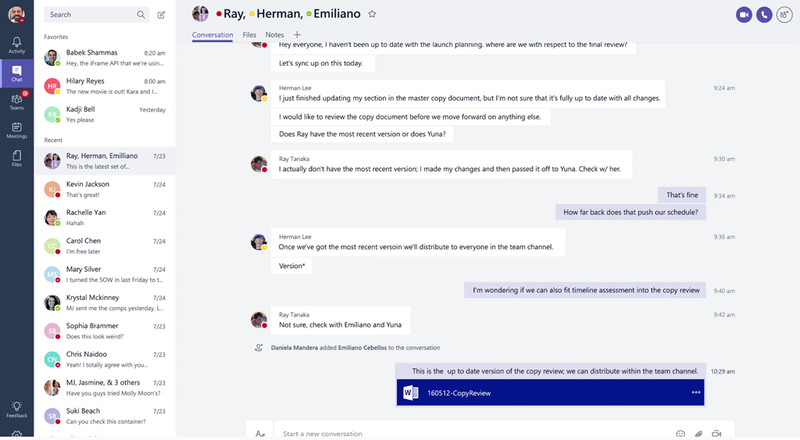 Microsoft Teams is available in preview and the roll out is expected in the first quarter of calendar year 2017 to all eligible Office 365 customers (Business Essentials, Business Premium, and Enterprise E1, E3 and E5 plans). SharePoint provides intranets and content management solutions to more than 200,000 organizations and 190 million people. 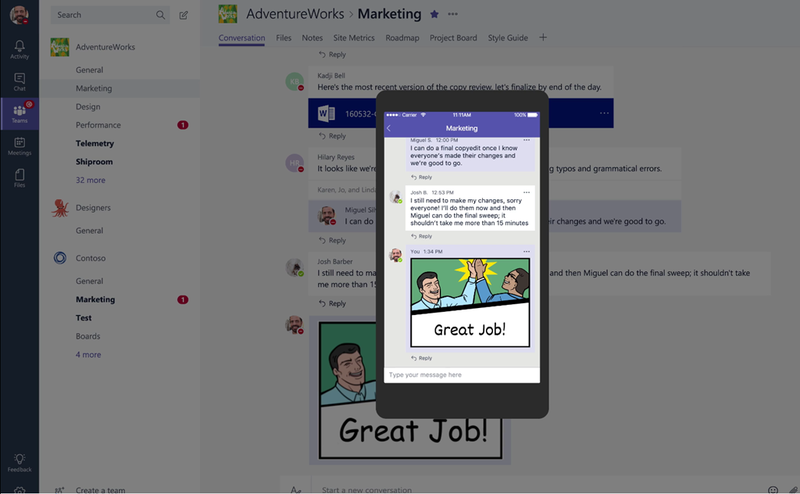 Yammer is the social network for work, enabling cross-company discussions for 85 percent of the Fortune 500. Skype for Business provides real-time voice, video and conferencing and hosts more than 100 million meetings a month. 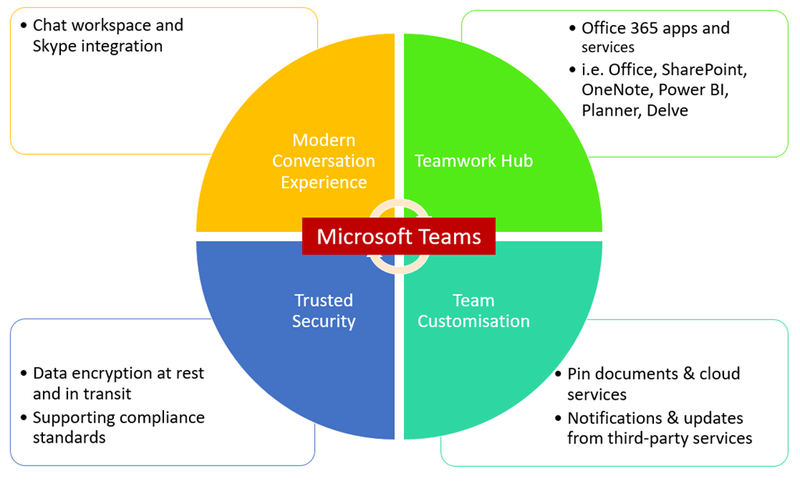 So what are the key features of Microsoft Team? Bring your team together – create an open, collaborative workspace for your team. 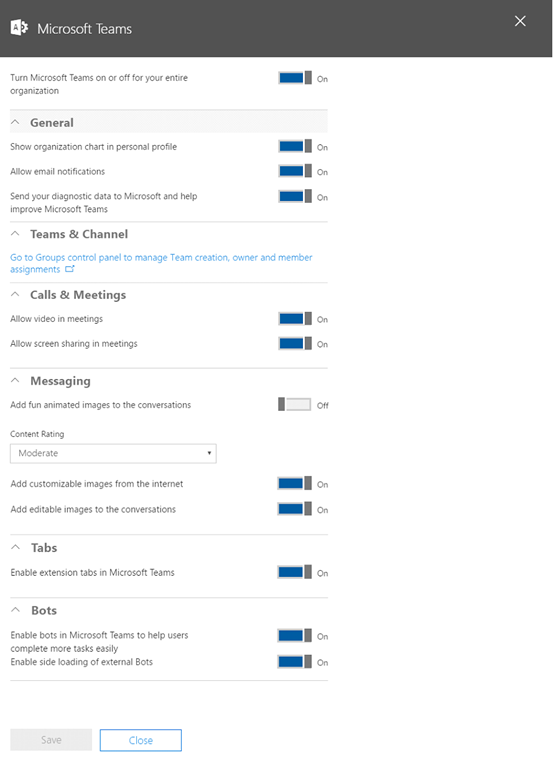 Then use channels to organise conversations by topic, department, project, area, or anything else. 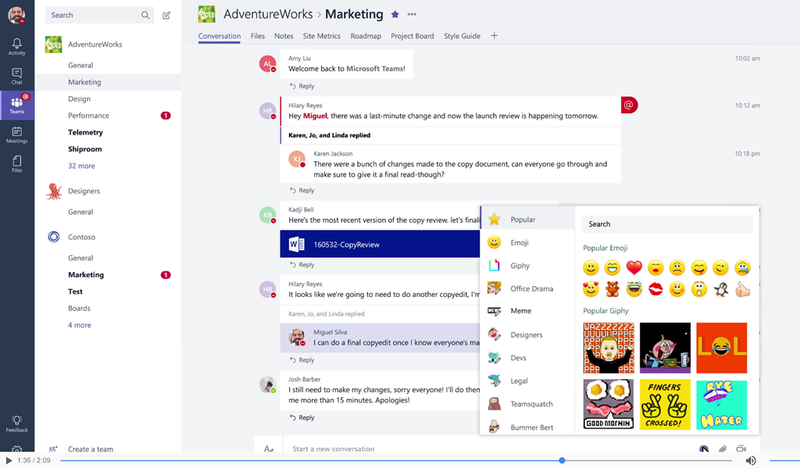 Chat one to one and with groups – outside of open team conversations, chat privately and share files and notes with anyone in your organisation. 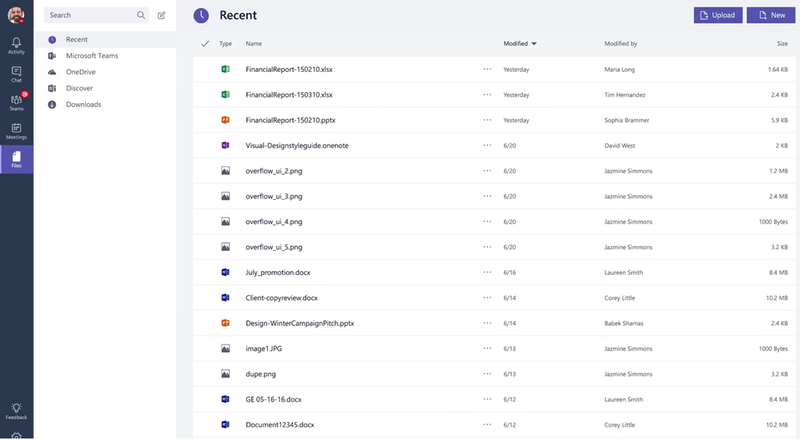 Team files, notes, and apps in one place – Your team’s tools are organised and integrated in Microsoft Teams with the power of Office 365. 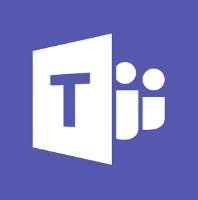 For a quick productivity walkthrough tour of Microsoft Teams, check out the link below. 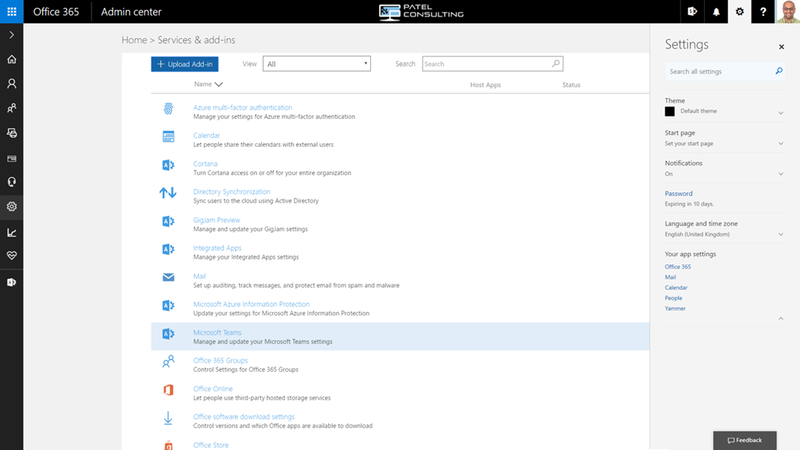 You or your Office 365 Administrator need to turn of few settings as per the screenshot below. Enjoy the new collaboration app and get things done now!